Chandrasekhar a great astronomers of the 20th century. If you were wondering who Chandrasekhar was and what those stars on the scales have to do with the scientist, let me enlighten you at once! 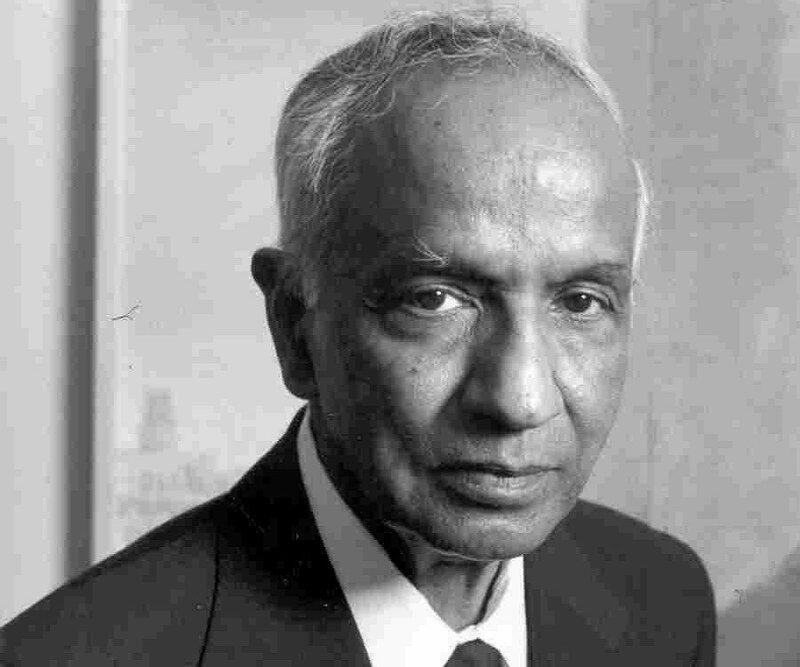 Chandrasekhar, or Chandra, as his colleagues called him, was one of the most brilliant astrophysicist of the 20th century who in 1983 received a Nobel Prize “for his theoretical studies of the physical processes of importance to the structure and evolution of the stars”. Chandrasekhar was born in Lahore, back than a city in British India, now Pakistan. He was homeschooled until he was 12, attended school and University in Madras, then did his PhD in Cambridge. When graduated, he was invited to work at the University of Chicago where he stayed all his life until his death in 1995. Chandrasekhar was a theorist and made a massive contribution to a modern theory of stellar evolution. One of his discoveries was the following. Depending on the mass of a star in the late stage of its life, one of the two things can happen: if the star reaches a white dwarf stage with the mass up to 1.4 of the solar mass, then it stays a white dwarf forever (well, eventually it will become so cold that will turn into a black dwarf, but scientists think the cooling down should take many billion years, so there should be no black dwarfs out there yet), whereas a heavier star will not be able to stop the gravitational collapse at this stage and collapse further to become neutron star or black hole. When Chandrasekhar first presented his idea, it was publicly laughed at by many astronomers and physicists, including the famous English astrophysicist Sir Arthur Eddington. And that is not surprising, as if Chandrasekhar’s theory was true, it would have suggested the existence of black holes, the objects scientists thought could not have existed! The upper limit of a mass of a stable white dwarf is now called the Chandrasekhar limit. He later developed a full theory of the evolution of massive stars, contributed to the models of red giant stars and even did some work on black holes! NASA named one of their famous space telescopes in Chandrasekhar’s honour: Chandra X-ray Observatory was launched into space on July 23, 1999 to study the radiation coming from the very hot areas of Space. Because the Earth’s atmosphere absorbs much of the X-ray radiation, X-ray telescopes have to be launched into space. Chandra Observatory orbits the Earth once every 64 hours and is still operating today despite the original planned mission duration of 5 years. 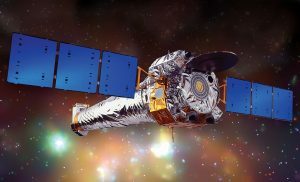 You can learn more about the X-ray sources, Chandra telescope, its instruments, main discoveries and its most recent findings here http://chandra.harvard.edu/. To find out more about stars, stellar evolution and Space in general visit our mobile planetarium!